Did you know that you increase your chances of getting pregnant up to 50 percent? Do you wonder how? By simply knowing how to calculate ovulation date, you can identify if your body is ready for fertilization. Creating an ovulation calendar is not rocket science. It is fairly simple and fast. 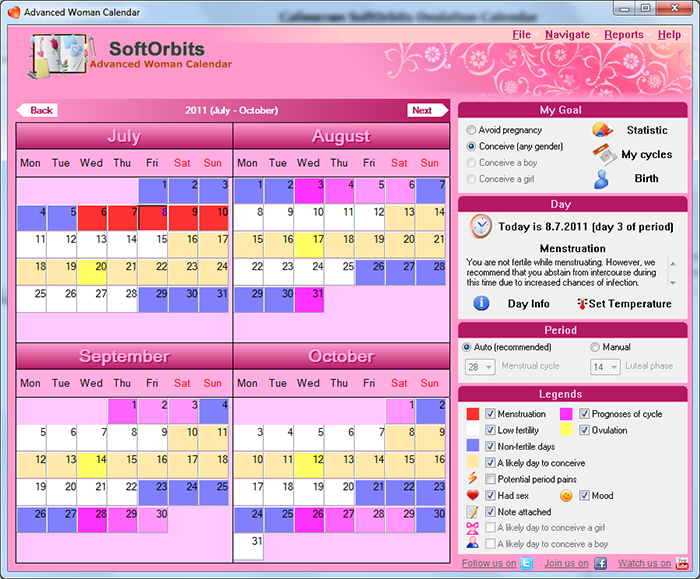 All you need is a calendar or if you want something more accurate, use Advaned Woman Calendar to calculate ovulation period. This is how you should do it. 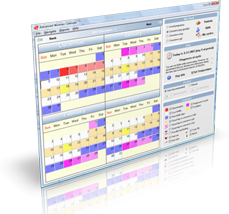 If you are using a simple calendar, the first thing to do is note the days of your menstrual period. Then, you can start from the very first day of your menstrual period. So if it falls on the first day of the month, just indicate that it is the first day. It does not matter whether your first days falls on the first day of the month or on the last. Just mark it as the first day of your menstruation. Then, what you need to do is to mark continuously all the subsequent days that follow until the last day of your menstruation period. You can do this again for the next cycle. This helps you calculate ovulation day much more accurately. You may be wondering why this is necessary. The whole point of this practice is to determine the length of your menstruation and ovulation period. Normally, the usual length of menstruation is from 25 to 35 days for most women. However, if you observe that your cycle is less or more than this number, you need to talk to your doctor. There might be something that is causing your period to either last shorter or longer. You can also ask your doctor to help you calculate your ovulation time. If your cycle is normal, then start using an ovulation calendar as soon as possible.